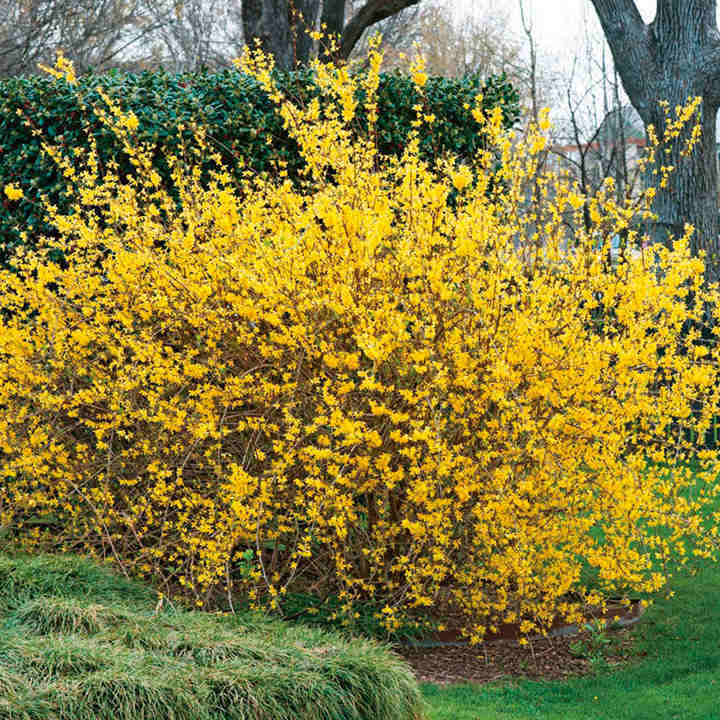 Forsythia Gold Mine - A recent forysthia introduction with many additional qualities to similar varieties. 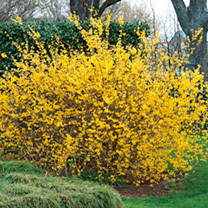 Its bright yellow flowers which appear larger, are bourne freely along the stems of this more compact variety. Being easy to grow, Gold Mine will brighten up any garden when in flower during spring with its flowers from tip to toe. Also good for cutting and placing in a vase inside. Height approximately 120cm. Supplied in a 3 litre pot. Choisya White Dazzler - A stunning new introduction that is also known as Mexican Orange Blossom. Glossy green leaves adorn this evergreen shrub giving interest all year round. Come spring the plant becomes smothered with scented white flowers with a rich fragrance. It is not uncommon for a second flush of flowers to be produced in late summer and early autumn when other flowers may be beginning to fade. 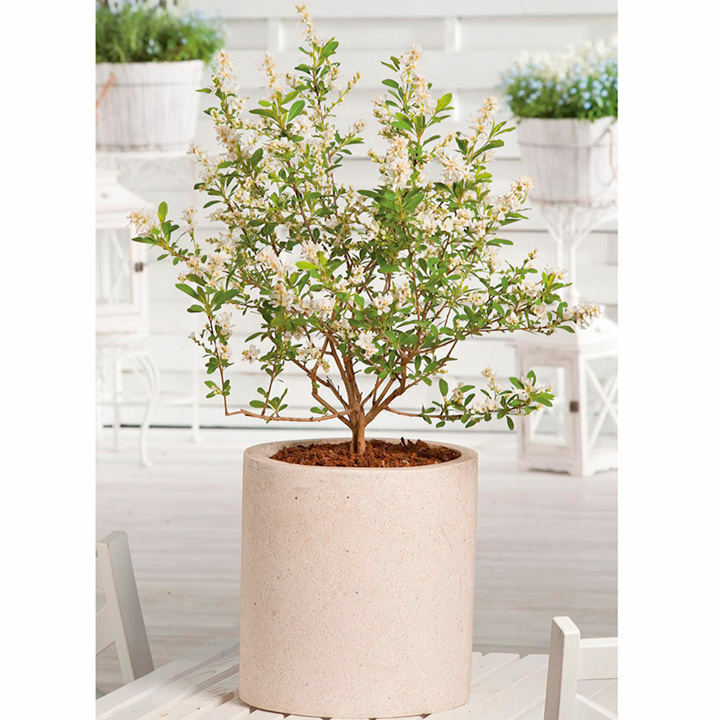 Easy to grow and requiring little maintenance, plant height 200-250cm. 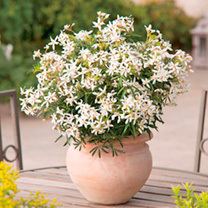 Choisya White Dazzler is great for patio pots or in borders. 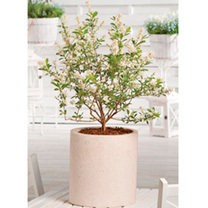 Plant supplied 60cm in a 3 litre pot.